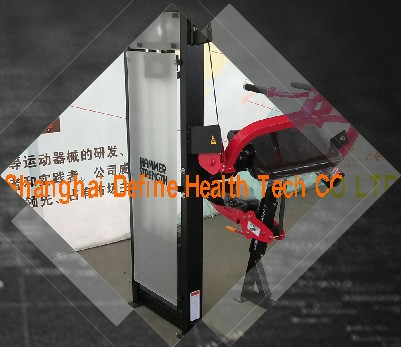 Hankang Fitness Equipment Co., Ltd. is a specialized manufactory in fitness industrial especially in development design and produce as well as sell professional fitness and sporting equipments. Our factory was founded in Feb.2007 and it covers about 5000 square meters, At the beginning, We are always followwing“Seek survival with quality, Depend on technological innovation as development, Satisfy the client’s needs “ as our factory permanently aim.Depend on our strict interior management system and strictly quality control system as well as all our employees increasing quality attention day by day.Our factory quality professional fitness equipments get improved year by year. 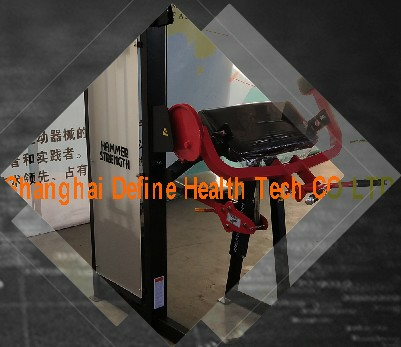 That is why we were successfully put “ Hankang Fitness “ , “ Hummer Strength “ , “ Hannuo Sports “ as our factory 3 sets of mainly Best professional strength equipments in the market. Depend on the customers and market request, our factory also make the complete Cardio Equipments which including commercial motorized treadmills and home motorized treadmills, professional upright and recumbent bikes and the commercial steppers as well and various of indoor using of commercial spinning bikes and so on. For further more customers specially requirement, we can also make and supply total range of fitness accessories from dumbbells and weight plates to barbells or from all kinds of olympic bars or exercise bars to mostly of gym balls and yoga mats etc. By right of our classic quality and perfect after-sales service along with competitive price, Our fitness equipments have been selling very well to mostly southeast asian countries also sold in Europe, Australia, Middle-East, Africa and South American and so on which means more than 30 foreign countries in the world. “Hankang Fitness, Healthy Forever “ Our company always sincerely welcome all the fitness enthusiast and professional champion & athlete to visit our factory and share more good experiences & solutions in fitness and health industrial.